In 2017, Grupa Azoty’s revenue increased by over 7%, to PLN 9.6bn, while EBITDA came in at PLN 1.19bn – a 25% increase year on year. After adjusting the operating profit for one-offs disclosed in 2017, EBITDA margin almost equalled the historically best margin delivered in 2015, at 13.1%. ‘2017 saw consistent implementation of the Grupa Azoty strategy. Efforts to expand the range of products for the agricultural sector, made with a view to diversifying revenue sources and developing the Group’s research and development potential, were accompanied by the key process of consolidating the Group’s selected functions. Growing revenue and operating earnings clearly confirmed the effectiveness of the Group’s strategy combined with its skilful navigation of the macroeconomic and market environments. The Group is also consistently pursuing its investment programme. In 2017, expenditure on strategic projects again topped PLN 1bn. Another noteworthy fact is our safe debt level: with a net debt to EBITDA ratio of about 0.3 we can implement our growth plans while retaining high credit ratings from financial institutions,’ says Wojciech Wardacki, President of the Management Board of Grupa Azoty. ‘We have reason to be satisfied with our financial results for 2017. 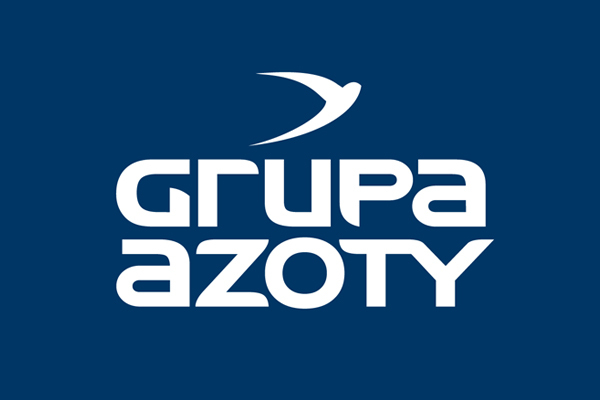 Revenue posted by Grupa Azoty is over 7% higher than the year before, which – coupled with markedly improved EBITDA – allowed us to deliver a solid margin. In 2017, EBITDA including the effect of one-offs came in at PLN 1,262m, over 19% more than a year earlier. Given considerable challenges faced by the Agro Fertilizers segment, the improvement in performance was undoubtedly driven by Plastics. Having seen a steady rise in volumes for several quarters, the segment also has the capacity to generate higher margins through increased processing of products,’ says Paweł Łapiński, Vice President of the Management Board of Grupa Azoty, responsible for finance. The Plastics segment was certainly a large contributor to higher revenue and stronger performance. Global PMIs, reflecting positive consumer sentiment in the manufacturing sector of key European economies, allowed us to respond to growing demand with an active pricing policy for our flagship plastic products. In addition, a flexible policy of caprolactam allocation within the Group pushed up the margin as caproactam was processed into higher-margin products and sales of PA6 volumes grew. In conclusion, the segment posted revenue of PLN 1.4bn (an increase of 27% year on year) and EBITDA of almost PLN 221m (up by nearly 900%). The Fertilizers segment experienced challenges related mainly to the marketing of its products. Growing imports of fertilizers, high stock levels and depreciation of the US dollar affecting global prices of agricultural produce and the purchasing power of farmers drove prices down, especially in the case of compound fertilizers. In nitrogen fertilizers, significant rises in gas prices eroded the unit margin. In the face of these challenges, the primary objective of the sales policy was to increase volume allocation on the Polish market in order to maintain EBITDA comparable year on year. In accounting terms, EBITDA fell by almost 10%, to PLN 484m. However, taking into account the recognised impairment losses/write-downs, EBITDA adjusted for one-offs would have been lower by only 2%. In Chemicals, EBITDA rose by more than PLN 43m, to PLN 348m. Revenue increased by close to PLN 350m, to PLN 2.79bn. The growth was largely attributable to margins generated by the Pigments and OXO business, as well as effective allocation of urea to obtain higher-margin derivatives, such as AdBlue and NOXy. Particularly noteworthy is the Titanium White business (Pigments), which in 2017 recorded a close to 250% increase in EBITDA margin, to nearly 25%. In 2017, Grupa Azoty’s CAPEX totalled PLN 1.069bn, compared with estimates of PLN 1.3bn for the year. The difference was due to the fact that certain investment projects were completed at the turn of the financial year, which resulted in related expenditure not being accounted for until Q1 2018. This will affect CAPEX estimates for 2018. In addition, the implementation costs of many projects were kept below budget, with savings of up to 10%. The Group has summed up the benefits of having consolidated the Polish chemical industry. For seven years now, an integration process has been in place at Grupa Azoty, allowing it to generate savings estimated at no less than PLN 710m. PLN 465m in procurement savings were achieved mainly on the back of lower strategic feedstock prices, an increase in gas volumes purchased on arm’s length terms, centralised gas supply management, and leveraging the economies of scale. Production and maintenance shutdown synergies led to PLN 170m in additional savings. The Group-wide consolidation of logistics, including rolling stock optimisation, joint management of handling equipment, and consolidation of railway siding companies, generated PLN 69m in savings at the Group level. The IT consolidation measures supported projects carried out across all areas of the Group’s business, improving their financial performance. The deployment of a common corporate IT and application environment, as well as upgrades of IT infrastructure, which streamlined team communication and collaboration, resulted in PLN 6m savings. The ongoing consolidation has also significantly driven EBITDA growth and helped stabilise margins, making Grupa Azoty’s business more stable and predictable. The Group’s improved performance has increased its companies’ borrowing capacity. In addition, a reduction of finance costs was achieved.